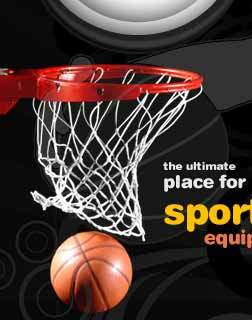 Metco Group a renowned company has been a leader in the sport goods and is manufacturing sports goods in India for over 60 years under the Brand Name "METCO". For more than half a century Metco Group have been renowned as the best for Quality. During this time, Metco has continued to reinforce its position as the innovative leader in sports Equipment production and is providing vast scale of sports goods in India. Like Outdoor Table Tennis Table and Equipments, Billiards/Snooker and Pool Table, Sports Nets, Athletic Equipments, Sports Mats, Cricket Equipments etc. We also looking for export queries from Europian Countries, Australian Countries and American Countries. 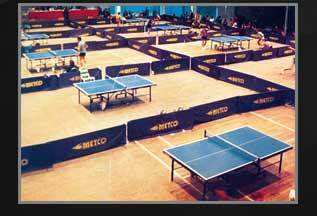 METCO Table Tennis Table are of very high quality and are approved by Table Tennis Federation India, New Delhi. 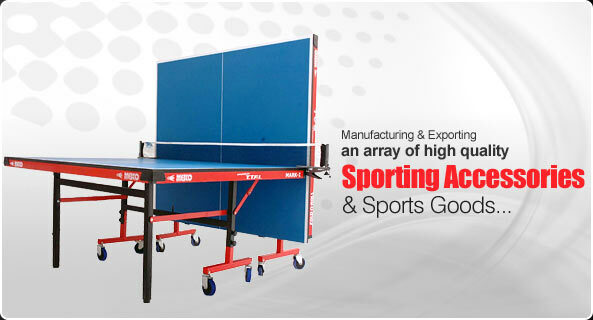 Metco Table Tennis Table have been used in many National Ranked Tournaments such as 70th Sub-Junior National Table Tennis Championship at VIJAYWADA. National Ranking Table Tennis Championship (East) 2007, National Table Tennis Championship at Manesar, 4th Junior Nationals & Inter-State Table Tennis Championship, Chennai. We are known due to our adherence to high quality and excellence in each sphere of activities.